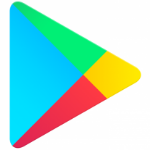 With certain carriers, Google Play offers the option to charge purchases directly to your cell phone bill. That option is now expanding to three new carriers in three new countries: Smart Cambodia in Cambodia; Entel in Chile; and America Movil Peru in Peru. If you're a customer of any of these providers, you should now be able to set up carrier billing as your payment method in the Play Store. Happy shopping.